Apple biggest creation is an iPhone, which is widely used the gadget and the expensive smartphone in the world right now. It has been ten years since the release of the first Apple iPhone that took over the market within a matter of weeks. The consumers around the worldwide use Apple iPhone, iPod, and iPad, but despite years of development in hardware and software, the basic functions are still not available to the people. The limitations of iPhone, iPad, and iPod have inspired many developers and software companies have released various tools to make the life of an Apple user better. AnyTrans is an iOS and Android-based program for Windows, and Mac developed to help you manage the data of the smartphone without any hush-hush. 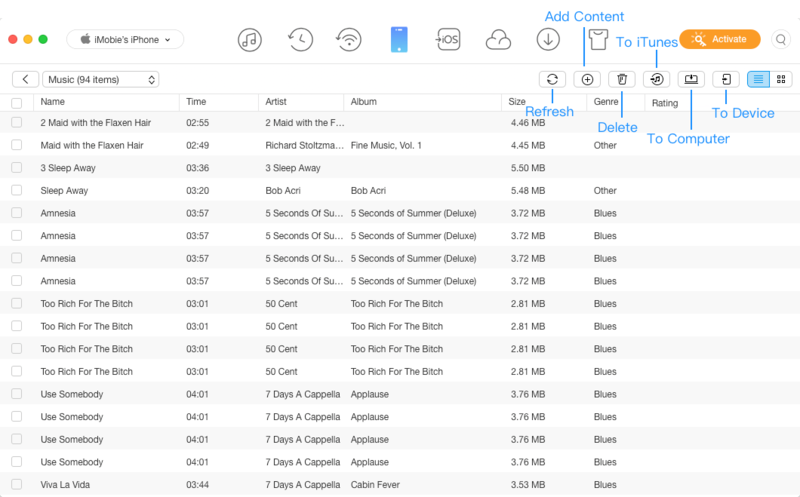 Most of the users have to depend on the iTunes to transfer the data like Music, Videos, and Photos, right, and the iTunes has limitations as well. iMobie is a software company that has developed AnyTrans Windows and Mac software. AnyTrans is a lightweight program that works as an iOS data manager. The primary reason why many people use data managers because it breaks the limitations that iTunes has in it. If you combine the strength of AnyTrans with iTunes, then it becomes an amazing tool to manage, move, copy, import, export, and transfer data in few clicks. To understand the true purpose of the AnyTrans and it’s importance, you need to learn about its features. Migration – Every year new Apple devices launched, then you move on to the next generation Apple device, then you have to move data to the new iPhone, right? Did you know that you could transfer Photos, Videos, Files, Settings, Wallpapers, Custom settings, and more in just one-click. Android to iOS – Some of you have friends, or you have purchased your first iPhone, then what about the data on your Android phone? By tapping once, you can transfer all data from Android to iPhone. iCloud – The program has an intuitive user interface, which was designed for those who don’t like the complex interface and process of iCloud, which is annoying. Wireless Backup – The AnyTrans has a feature that allows you to backup all of your files into your PC wirelessly without worrying about manual work. If you want to know how the wireless backup works, please visit their official website. Synchronize Block – The iPhone, iPod, and iPad’s have a security protocol, which blocks Windows or Mac PC until you allow it to connect. It takes time to connect and pass the security, and then the Sync process begins. 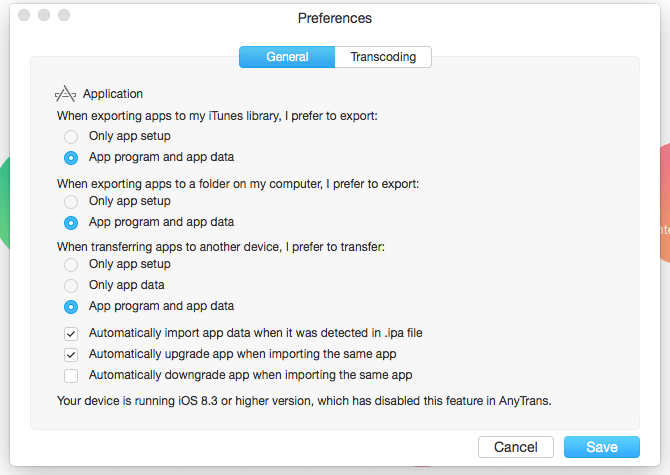 By combining AnyTrans and iTunes, you do not have to worry about Sync protocol. Import & Export – Did you know that you can import and export files to your Windows or Mac PC? By using AnyTrans, you can import data and export data to another PC. It is important for every user to learn about the user interface before downloading it and trying it or else, you will not be able to come to a decision. Dashboard: When you launch the program, the first thing you will see is the dashboard. The top menu is easy to understand, and in the middle, where all main functions are present. 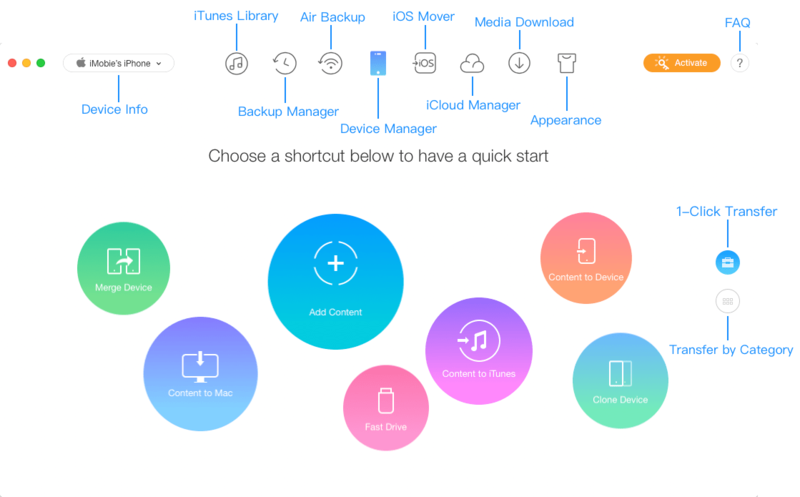 Manage: You can manage all files and data from the manager, where you can Add, Delete, To PC, To iPhone, and Refresh button is present in the top left corner. Settings: In the settings, there are not any confusing options, so you do not worry about it. In the settings, you can change various preferences so that you can have more control over the program. Files formats: The file formats are one of the important factors here because when you export or import file formats matters to restore. 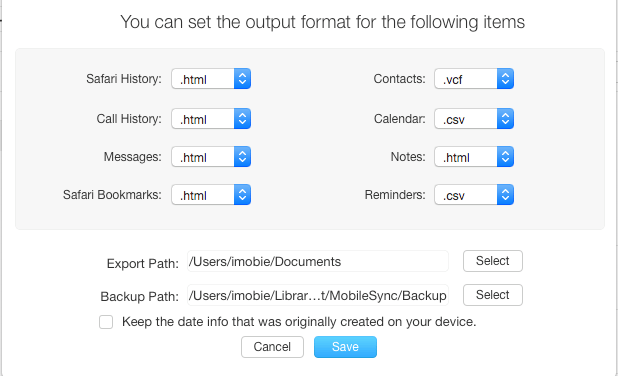 In the settings, you can select the file format for each data that is recoverable, and you can change locations of the import and export files. Here, you and download the latest version of AnyTrans. In case, you do not know how to import photos PC, then just visit their official website. Let us know which feature you liked about AnyTrans in the comment section below.